Join the GSC Youth Race Team to meets the needs of young sailors looking to get an early introduction to the world of racing. The Club offers a significant discount off first year registration fees for youth joining our Youth Team. The Junior Race Team (ages 5 to 14) sail the Optimist dinghy. The Opti is a competitive fleet nationally and internationally, and the majority of recent Olympic sailors began sailing in an Opti. The Senior Race Team (ages 14 - 18) progress to sailing the Laser (4.7, Radial and Full sail), the 420 (transition boat to double handed sailing), the 29er (double handed skiff) and the SanJuan 21 keelboat. The Laser is one of the most popular single-handed dinghies in the world with more than 200,000 sold worldwide. 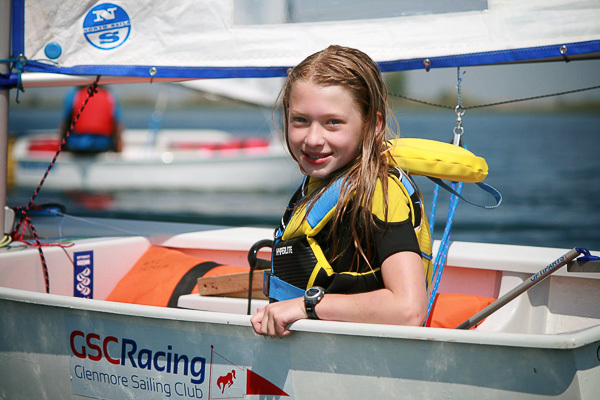 The Youth Race Team gives kids with some sailing experience the opportunity to step into racing. We encourage a fun and safe learning environment. 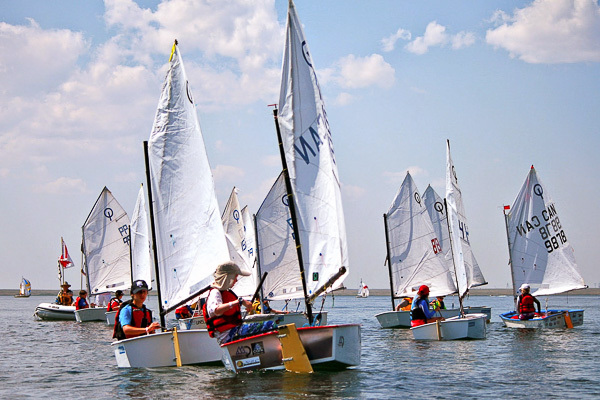 Youth sailors participate in social, fitness and educational activities to build the team dynamic and individual skills while learning about sailing. 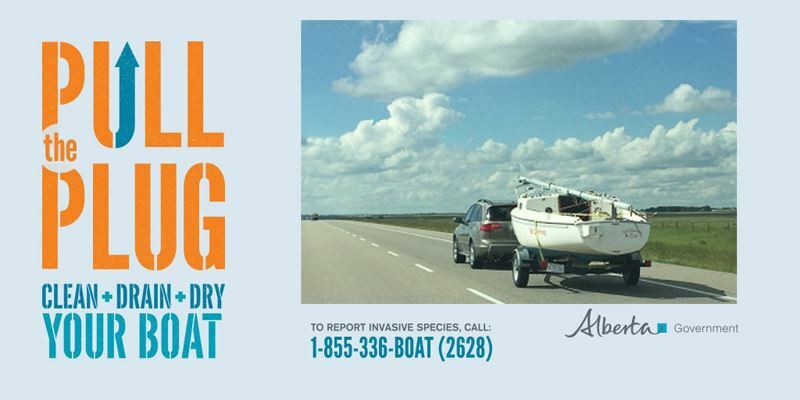 Training nights are Operating on two evenings per week, and almost every other weekend, throughout the season (May thru Sept) the program provides participants with equipment, coaching, and logistical support while introducing them to the competitive aspects of dinghy sailing. Every week from early May until late August youth training runs from 6-9 pm. The Junior Team trains Monday evenings. The Senior Team trains Tuesday evenings. Both Junior and Senior Teams participate in Wednesday Night Racing to utilize learned skills and be part of the larger sailing community. Our coaches are out with the Team for WNR May through September as part of the ongoing training program. The Team participates in the following training camps and regattas supported by the Club's coaches to support the ongoing sailor development with age and skill appropriate training opportunities. The best way to develop sailing and racing skills is to participate in racing. Additional training and racing opportunities, both in and out of province, may be added to the schedule based on youth and parent interest. Our Youth Racing Team Package contains more specific details about the Team and should be reviewed by all registrants.